Pension reform and electronic declaration of all officials top the agenda. The International Monetary Fund approved new structural benchmarks for Ukraine, the implementation of which is necessary to allocate the fourth tranche. The text of the new edition of the memorandum was published on 16 September by Apostrophe. A significant part of the new requirements of the IMF is linked to pension reform. The Fund requests to consolidate pension legislation, currently consisting of two dozen pieces of legislation. By the end of December, Ukraine should pass a law that would provide for a gradual increase in the retirement age (without specifying the retirement age). It is also necessary to provide a reduction of grounds for early retirement and tighten the requirements for the minimum pension. Other requirements include a single principle of pension benefits without providing benefits for any professions (except for the military); broadening the base of contributions to the social security system; a fair tax regime for pensions; closer linkage between pension contributions and pensions, which should, in turn, stimulate citizens to declare their real incomes; cancellation of "special pensions" and creation of conditions for the introduction of a funded pension system; transfer to the state budget funding for categorical surcharges to labor pensions. Until the end of October, Ukraine should introduce a temporary mechanism to adjust tariffs for gas and heating on a quarterly basis in case tariffs deviate from the level of full coverage of the cost of imported gas by 10% or more. Until the end of October, the Cabinet of Ministers must approve and promulgate a list of state-owned companies, to determine which of them will remain in state ownership, which will be privatized, and which will be eliminated. Until the end of December legislative changes must be adopted for a more transparent privatization. Until the end of October, all senior officials must submit electronic declarations about their assets in 2015. Until the end of September, the government must submit to parliament a bill on turnover of agricultural land. The parliament must pass a law reinforcing the norms of the Civil Procedure Code and the Commercial Procedure Code with respect to internal transactions and arrest of bank accounts. Until the end of November, legislation should be adopted to strengthen the independence of the National Anti-Corruption Bureau, which must obtain a wide range of powers, allowing him to be independent of the infrastructure of other departments. 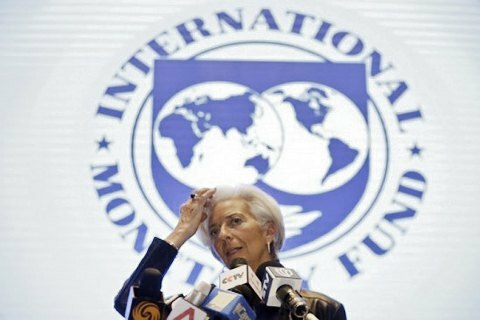 The next review of IMF loan program is slated to take place in late November.